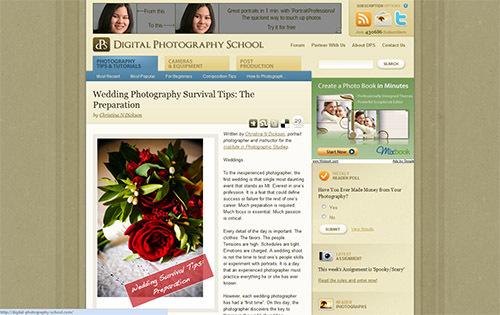 About The Author: This article has been contributed by Nick Smith from Digital Wedding Secrets. 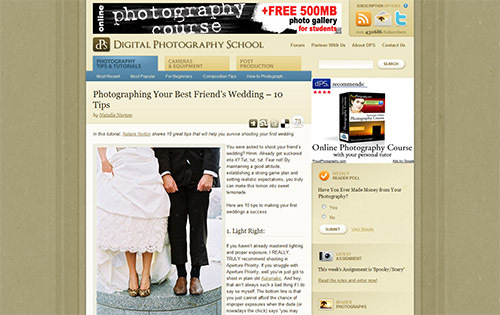 Digital Wedding Secrets is a guide focused on the wedding photography. 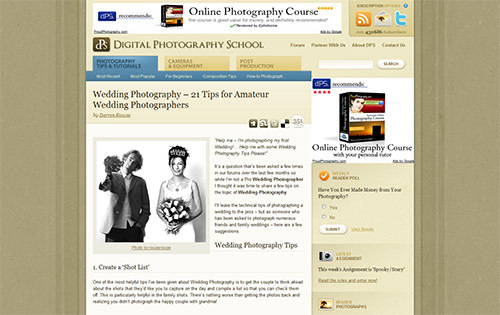 If you are passionate about wedding photography then Sign Up to its RSS or FREE Digital wedding newsletter to receive more wedding photography tips. [tweetmeme]Nobody strives to be boring and mundane, and yet countless weddings and wedding photographs achieve that goal with flying colors. 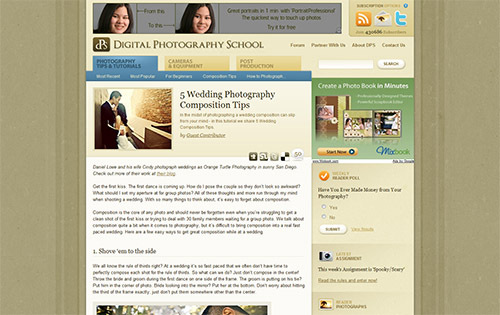 To raise the stakes as a wedding photographer (and therefore your prices and reputation), you need to offer a dual personality as wedding photography — one side that will ensure/guarantee the Bride & Groom that they’ll get all the “standard” (read: blah) photographs for a wedding photo package. 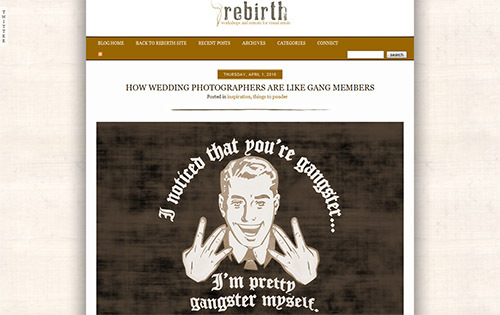 And the other side that will enthusiastically suggest box-breaking, creative and imaginative ideas that might raise an eyebrow, but will guarantee a smile and/or a laugh (or a gasp) when you submit your final photos to the Bride & Groom. 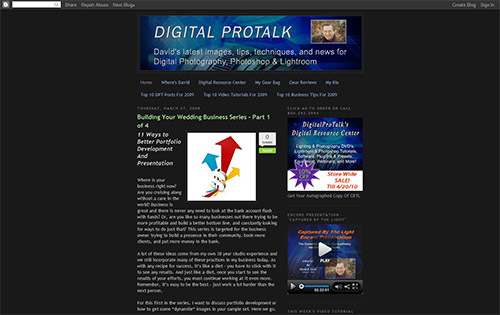 Dynamic photography is all about finding those definitive moments and framing them with evocative lighting… that’s your mantra; I’ll give it to you for free! Wedding imagery on a grass roots level is just formalized party photography, so that being said, what makes party photography even remotely interesting to look at? 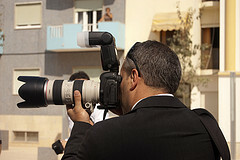 That’s right, the spontaneous, unexpected, intimate and candid photographs that details the B-Story Moments of an event. The sterile portraits that most people expect and therefore get won’t get you rave reviews or make the job compelling for you, so push the envelope. The Shoot in photo parlance is actually a production, and for any production to be successful a plan must made, rehearsed and carried out to perfection (or as near as perfection as possible). This is doubly important with wedding photography, because the “event” isn’t staged, it’s happening live… in real-time. Therefore the preproduction planning stages are crucial. 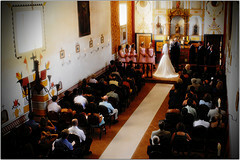 During this stage, scouting the location for lighting issues, potential backgrounds and event staging can be determined and discussed with the Bride & Groom. You can take test photos during the preproduction stage, and determine what additional equipment (like a third camera; a second one is mandatory) you might want to acquire the best images on the day of the Big Event. 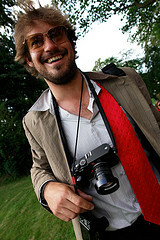 You can also establish a photo coordinator from someone close to the wedding party to help you corral the various groups during the day of the shoot. Sure you’ll have some authority, but not enough to get all that you need make the most of the day. During the planning stage, you can make your production checklist, so there’s memory slips on the day of; you’ll have it all mapped out and handled by the night before, so that all you have to do on the day of the Wedding is get up, get dressed and drive to the venue. Here’s another free mantra for you; If you fail to plan, then you plan to fail. 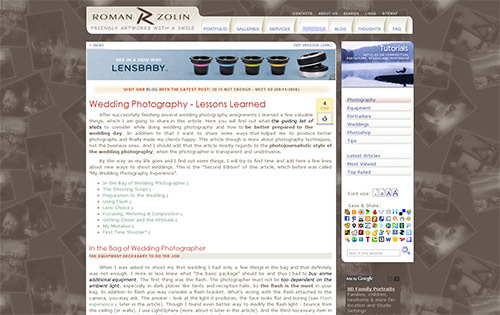 A photo-journalistic style is top among the techniques and tricks that can enhance any wedding photo package, but in reality you want to create a photo essay of the wedding, not just document what happened with a journalist’s flair and/or a creative eye. A photo essay has a more impressionistic slant to it; the images need to feel as poetic as possible. This will enable you to take chances with lighting, composition and subject matter that stretches the limits of photo journalism. Remember, the photo-essayist looks to find singular lyrical moments and combine those moments such that they deliver more emotional impact than typical compelling photo journalistic/reportage imagery. Of course this technique/skill requires a most creative eye, and the ability to find the moments that might not be the center of the “action” but are more poignant and potent for the final outcome. Successful photographers build a rapport with their subjects prior to doing any meaningful shooting, just ask any National Geographic photographer how they get those stand-out images. 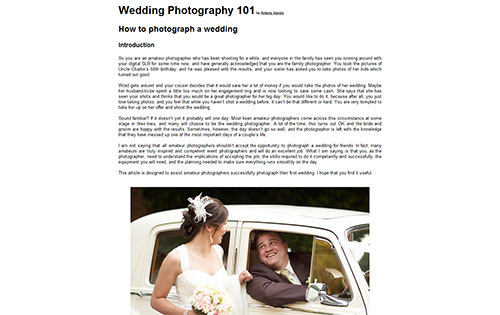 So you need to follow that lead when it comes to Wedding Photography and establish a rapport with the Bride & Groom. The ideal time for this is during the walk-thru when the full wedding party is all there, and any pre-wedding day photographs (like engagement photography session) that the Bride & Groom want (suggest this if they haven’t thought of it). Be sure to be as engaging as possible; cracking jokes might be a bit much, but be as jovial and open as possible. All these people need to trust you in intimate moments, when most of them are probably going to be a little drunk (or maybe a lot drunk) and be emotional in rare ways. You have to be an insider, not an interloper. While it’s most important to shoot (perhaps too) many photographs, the purpose of this is to have the broadest possible selection possible to present to the Bride & Groom; not to mention that memory storage cards is notorious cheap these days, so bring enough cards and fill them up. And when doing this presentation, make sure that you are showing the absolute best “selects” of the 100s, if not 1000s, of photos that you took. 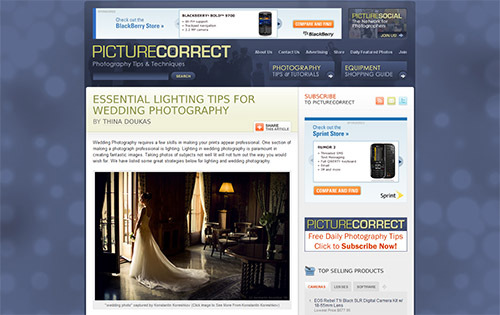 Only your best work needs to be seen by the Bride & Groom. If you don’t have a great editorial eye, then find someone who does and whose opinion you trust. This most critical to having a happy Bride & Groom, because when they return from their honeymoon and want to see the photos they need to re-create the emotional highs of the wedding day. 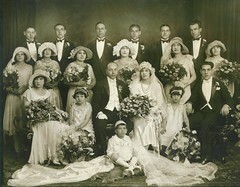 Even if the Bride & Groom aren’t expects at examining photos (and who expects them to be? 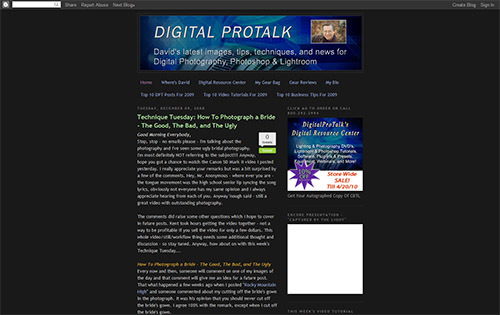 ), they will instinctively know when a photo is good or if a photo is great. 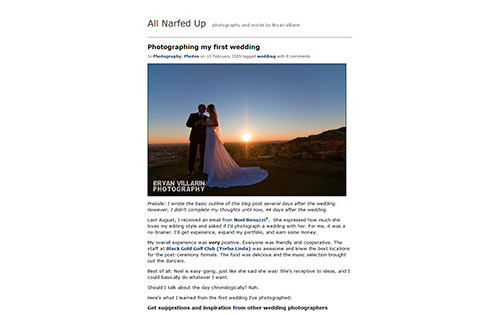 This entry was posted in Features, General Tips and tagged advice, photography, photography tips, tips, wedding, wedding photography on June 15, 2010 by Brian Auer. This article is contributed by Sarah Scrafford, who regularly writes on the topic of Photojournalism programs. 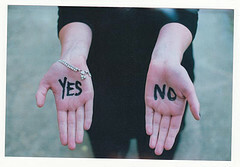 She invites your questions, comments and freelancing job inquiries at her email address: sarah.scrafford25@gmail.com. You cannot afford to be caught unaware with a camera that refuses to bow to your wishes while the ceremony’s taking place. Make sure your gear is in working condition and that you have an equally good backup camera. Besides this, you’ll need memory cards, batteries and chargers (I’m assuming you’re going digital) to back you up in your efforts. 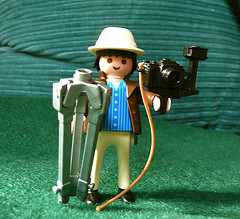 You’ll need between 8 and 10 megapixels in strength on a digital SLR camera in order to get the best pictures. If possible, find yourself an assistant who can help with your equipment and also take a few candid shots while you handle the more formal ones. You need to be familiar with the location well before the actual event so that you can decide on the vantage positions from where you can get the best shots. 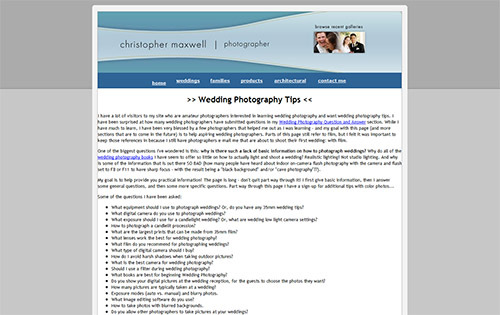 Besides this, if you’re supposed to get pictures of the bride and groom and their parties on the way to the venue of the wedding and the reception, you need to know where you can position yourself along the way so that you can get some good shots. Some couples prefer a minimum amount of pictures while others want to go the whole hog and get everything that’s happening on camera. 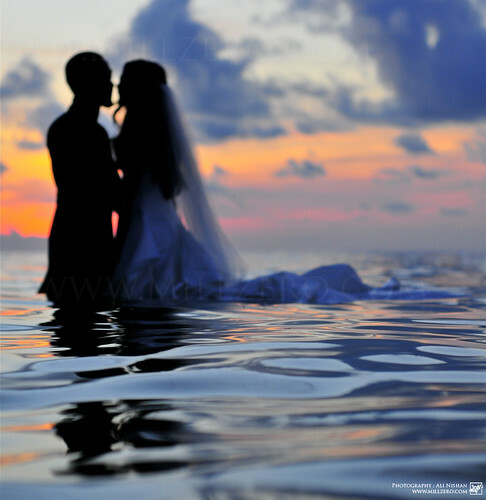 Discuss the needs of the bride and groom and make plans accordingly. You don’t want to be the one responsible for the displeasure of disgruntled relatives who find they’ve been left out of the photo album. So make sure you get everyone who counts on camera. To ensure that you don’t mess up, get someone from the groom’s side and someone from the bride’s side to help you out with the arrangement and preparation for the shots. There are no chances for action replays or reshoots at weddings, so make sure you’re prepared with a fast camera and faster fingers. Also, don’t delete any pictures from your digital cache until you’re sure you don’t want to print them as part of the final album. Make sure your efforts make the day even more memorable, no matter how many years go by. 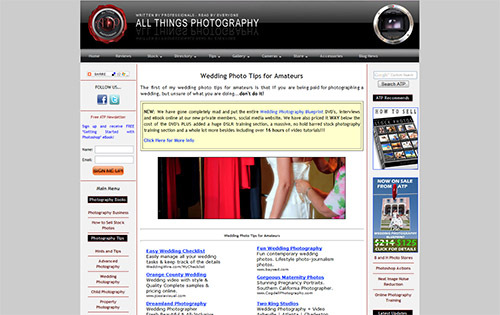 This entry was posted in Features, General Tips and tagged photography, tips, wedding, wedding photography on January 28, 2009 by Brian Auer.